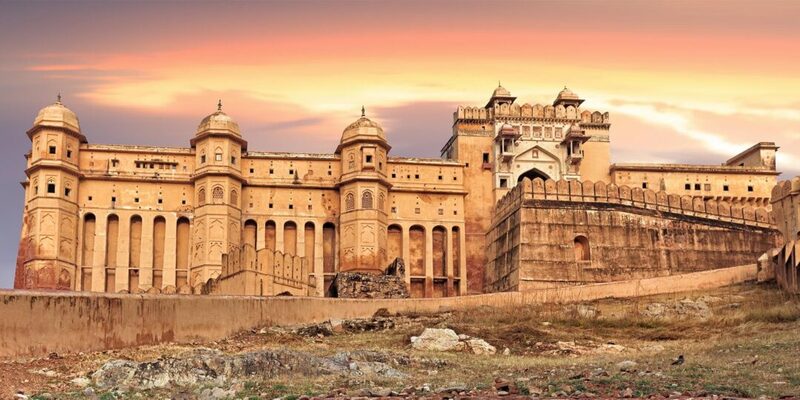 Leave your home in favor of culture, history, art and adventure when you embark on this 17-day journey from Bollywood to Ancient Ruins through India and Sri Lanka itinerary. 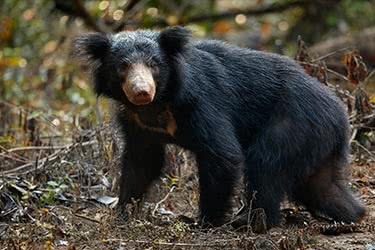 There's hiking, temples, ancient ruins, a backwater boat trip and more in store! 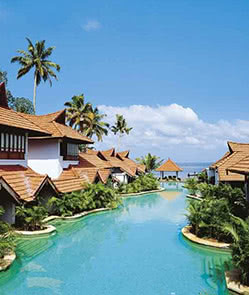 Travel through Mumbai, Cochin and Kumarakom in India. 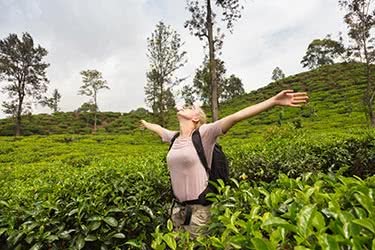 Depart lively India and travel to its island neighbor, through Colombo, Dambulla, Kandy, Nuwara Eliya, Tangalle and Galle in stunning Sri Lanka. Arrive in western India where Bollywood was born - Mumbai. 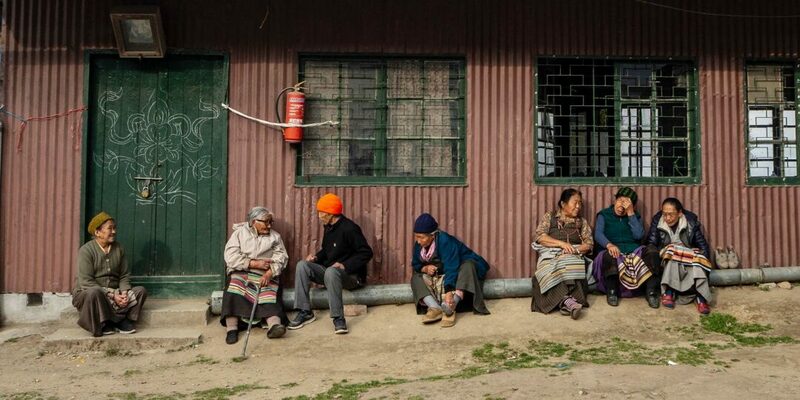 Famously overcrowded, this is the fourth-largest city in the entire world. The culture-rich city is the perfect starting point for your adventure. 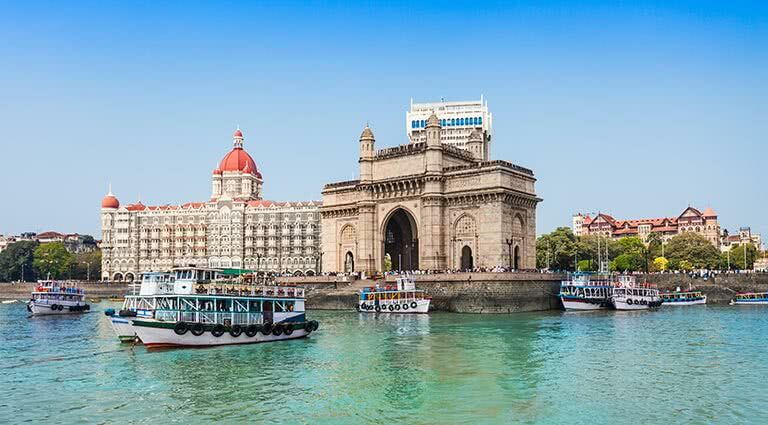 For an absolutely unforgettable luxurious stay, we suggest the Taj Mahal Palace & Tower. Enjoy a full day touring the pulsing city. The National Gallery of Modern Art is a fantastic spot to check out the country’s artistic side. The UNESCO World Heritage Site of Victoria Station is an incredible central railway station constructed in the Victorian Gothic style. There are several ancient, well-preserved churches throughout the city. A trip to Mumbai isn’t complete without a visit to Bollywood - visit a set for a closer look at how the cultural favorites are created. 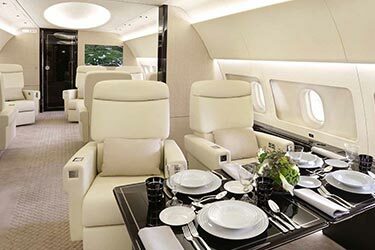 Depart Mumbai for a more remote location. 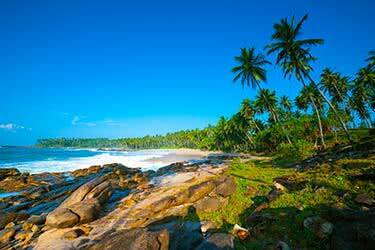 Fly to Cochin and transfer to Kumarakom, an area known for its incredible backwater tourism. 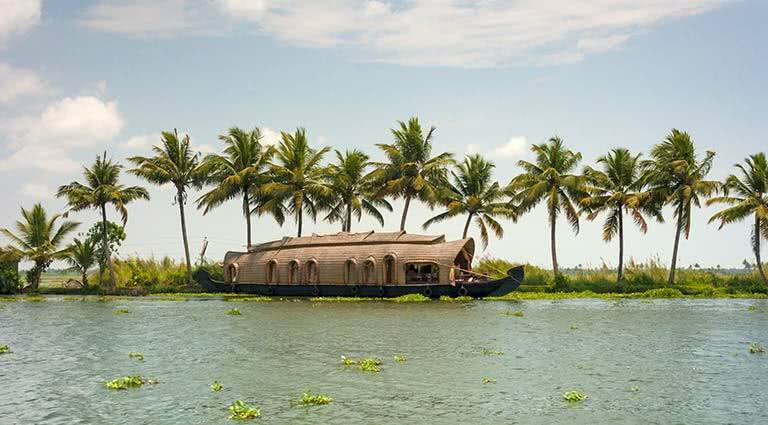 The city is set against the stunning largest freshwater lake in the state of Kerala - Vembanad Lake. Check into the hotel of your choice in the city. 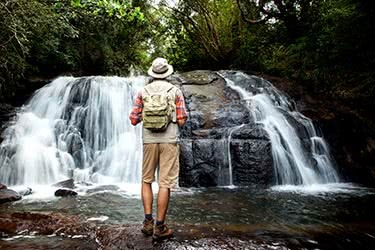 Spend your first day in the area exploring the natural beauty. Give yachting or fishing a try on the lake. The Bird Sanctuary is home to several species of migratory birds. The sanctuary covers over 14 acres - you may even spot a beautiful, rare Siberian Crane. 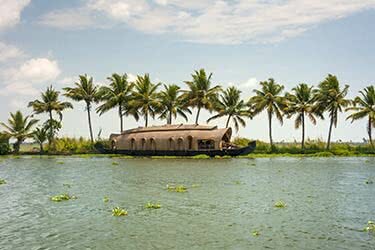 Enjoy a unique experience as you spend the day on one of the area’s much-loved backwater cruise boats. 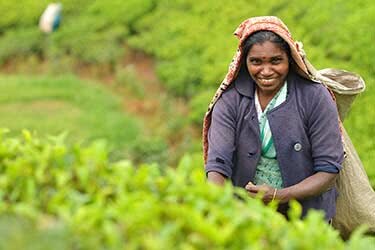 The area surrounding the lake is covered in mangrove forests, paddy fields, coffee plantations, pineapple orchards and coconut plantations. 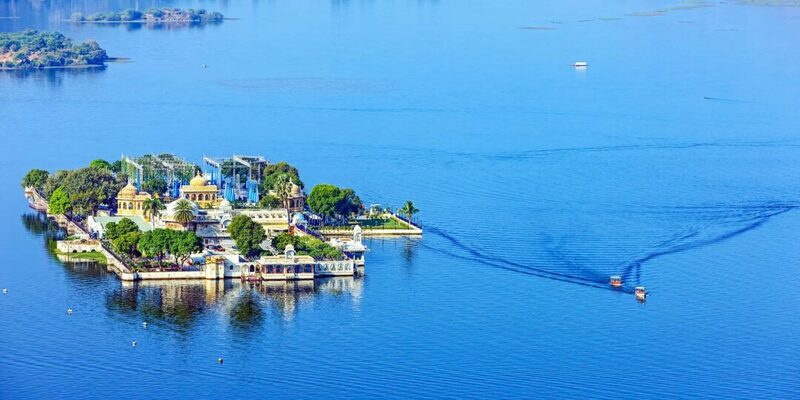 Step aboard and sail across the massive lake and absorb the natural surroundings. 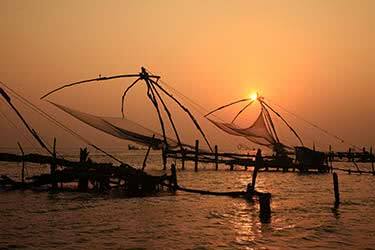 Travel back to Cochin (also known as Kochi,) to see a town seemingly retired after the spice trade cooled off in the area. The once bustling cosmopolitan city is now a sleepy, charming port town. 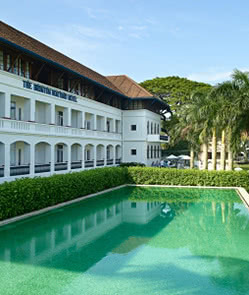 We suggest checking into the Brunton Boatyard, Malabar House or the Vivanta by Taj Malabar for a lush stay. 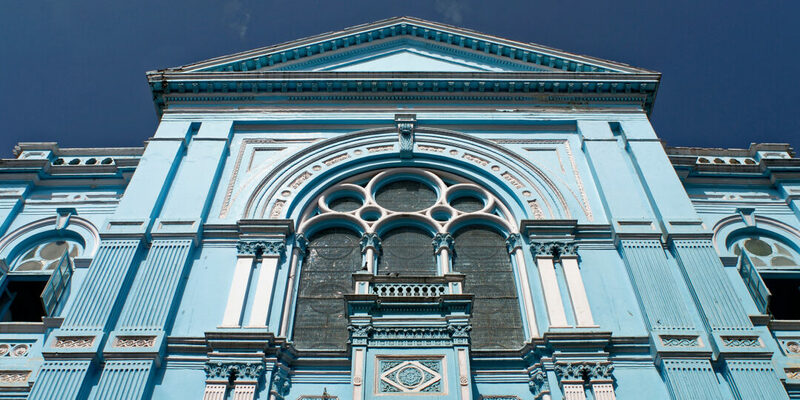 Begin your day by paying a visit to the Jewish section of the city. 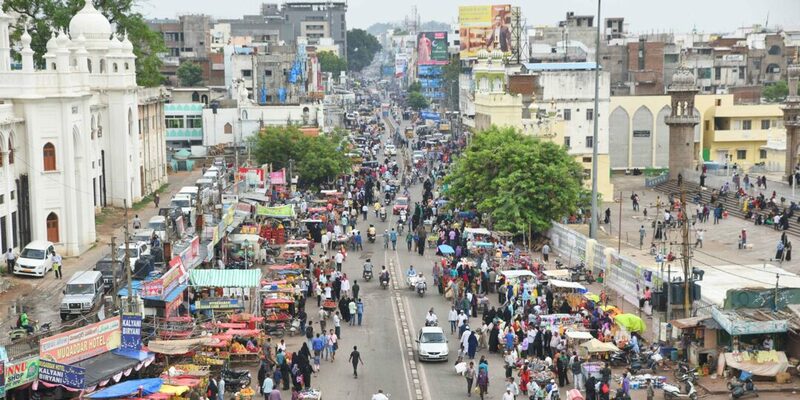 The area was largely populated in the 1940s and the brightly painted houses are built in classic old-world designs. Visit the bay and watch as fishermen haul in Chinese fishing nets filled with fresh fish - you can even buy fish straight from their nets and carry your purchase to the nearby Dutch House to have it filleted. Come evening, you’ll have the opportunity to learn local favorite dishes from a warm and welcoming chef who teaches classes in the intimate setting of her private home. 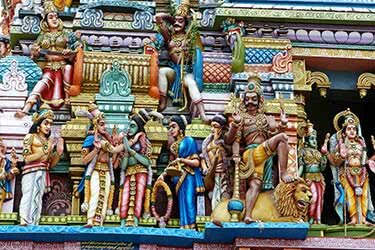 Depart India as you fly from Cochin to colorful Colombo in Sri Lanka. You arrive in the nation's capital city in the mid-morning. Begin your city tour by visiting the pivotal Gangaramaya Temple - an important learning and spiritual location. Next, visit the tiny temple built on a lake, the Seema Malaka Temple. Observe the national sport at a Sri Lankan cricket match. 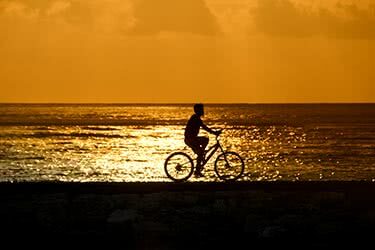 Finish the day with a stroll along the half-kilometer-long Galle Face Green Promenade. Travel 4 hours to Dambulla. 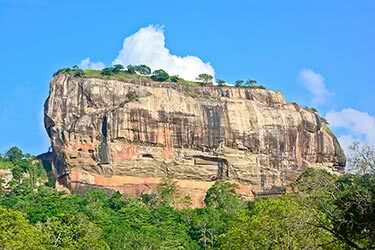 Explore the fantastic UNESCO sites of the Dambulla Cave Temple and the Sigiriya Rock Fortress. 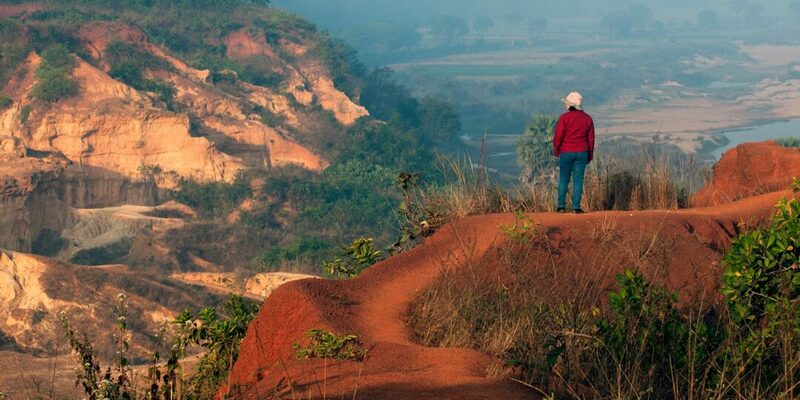 Tour the area atop a local elephant. 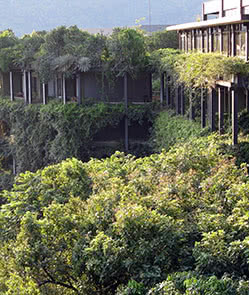 This evening, you’ll bed down at the deluxe Heritance Kandalama. 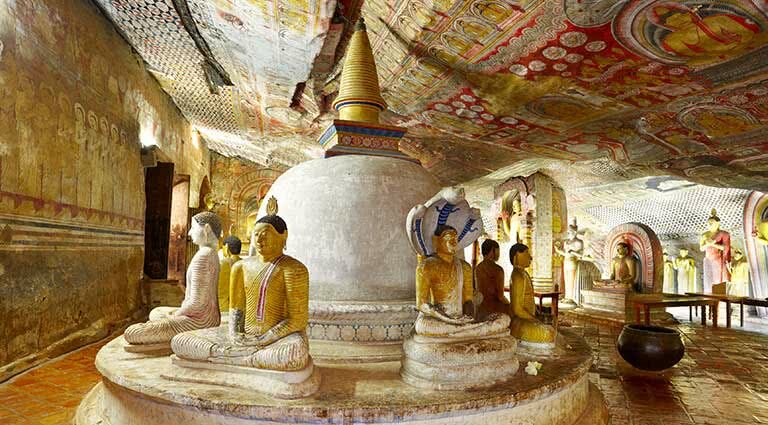 Leave the city for a bit and take a half-day trip to the UNESCO site of Polonnaruwa, some 80 minutes from Dambulla. The ruins are in amazing shape and make it easy to imagine life in ancient times. 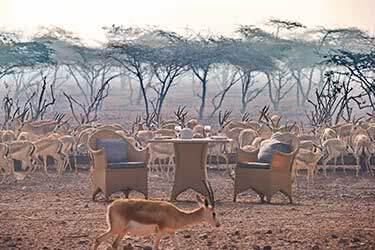 This afternoon, take a safari at the Minneriya National Park. 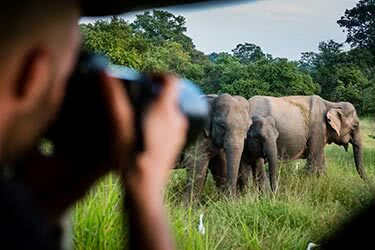 The wildlife refuge has been known to serve as a home to wild elephants. 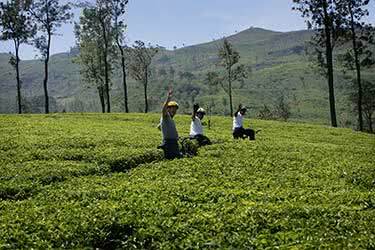 Travel 2 hours to picturesque Kandy, a UNESCO-designated city known as the island’s cultural capital. 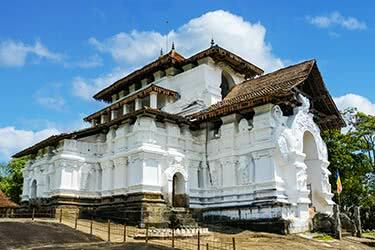 Kandy was the last kingdom in Sri Lanka. 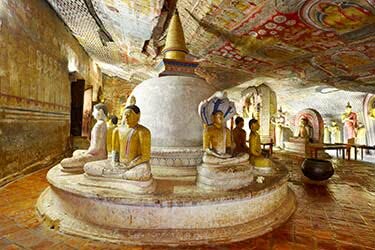 Learn about Sri Lankan spiritual practices when visiting the Bahirawakanda Monastery. See the incredible Temple of the Tooth that contains the relic of the tooth of Buddha. 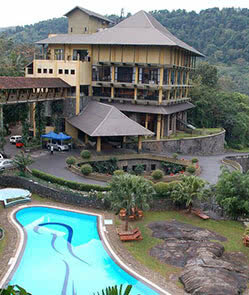 The Earl’s Regency has a refreshing swimming pool and comfortable rooms for resting up that night. 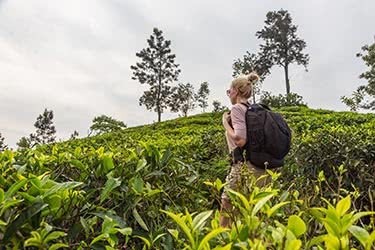 Leave vibrant Kandy and gaze at the green rolling hills as you make your way 2 hours into the heart of Sri Lanka’s hill country. 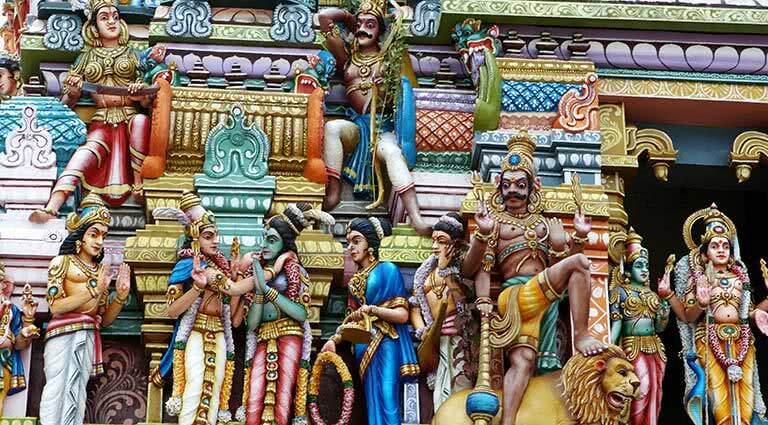 See the temple where the Hindu God Rama’s lover prayed for Rama to rescue her from the evil King Ravana. Check in to the Grand Hotel where you will enjoy endless hospitality and comfort. Spend your second day in the the area in the great outdoors. 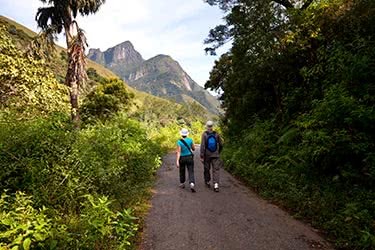 Take a hike in the rolling hills, in the idyllic Horton Plains National Park. The park is one of many UNESCO sites in the country. The Grand Hotel’s spa services are perfect after a day out in the fresh air. 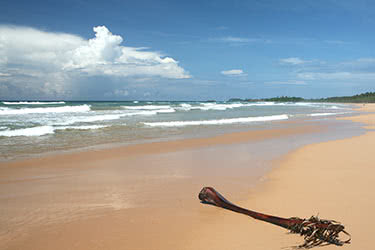 Travel 4 hours to Tangalle to soak in the sunshine. Here, you’ll have the incredible opportunity to catch baby sea turtles hatch on a deserted beach. The Rekawa Turtle Conservation’s mission is to preserve the turtles’ natural environment, and help them thrive within it. In the evening, learn to cook the area’s famous cuisine and eat your own creations. 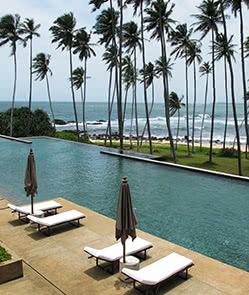 Relax tonight at the Amanwella Resort. Enjoy an extra-special sight this morning, as you marvel at the Mulkirigala Rock Temple, home to seven cave temples, perched on terraces of various altitudes, the highest of which is 676 feet above sea-level. Note the handdrawn Buddhist art on the cave walls. 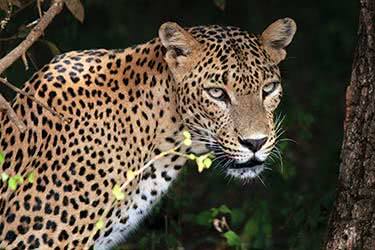 The afternoon has you taking a safari ride through seaside Yala National Park. Return to you hotel tonight to enjoy some leisure time. 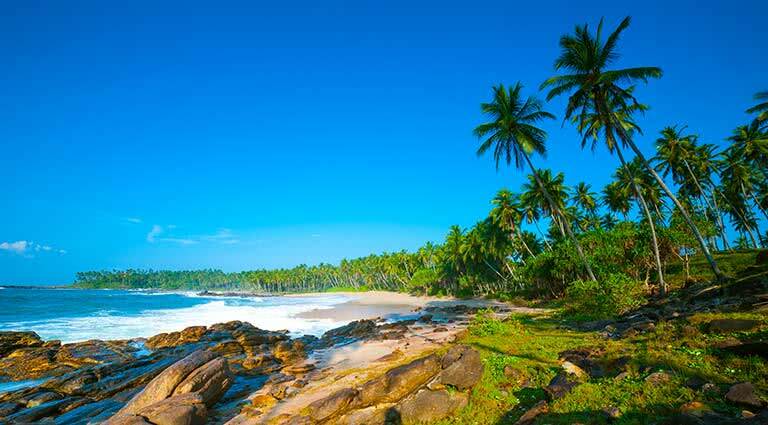 Reach the final destination of your adventure - the gorgeous coastal city of Galle, 90 minutes away. 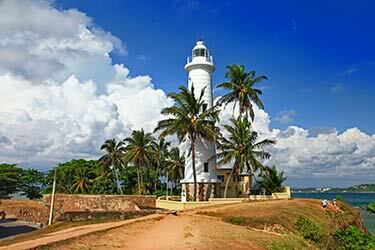 Along the way, stop at the UNESCO site, the Ancient Port of Galle. Enjoy a whale-watching tour and see the large mammals playing in their natural environment. 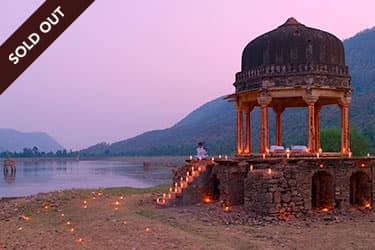 Visit the Yatagala and Rhumasala temples for a unique spiritual tour. Check in to the historic Amangalla hotel located inside of the old fort within the Ancient Port, for the final night of your trip. 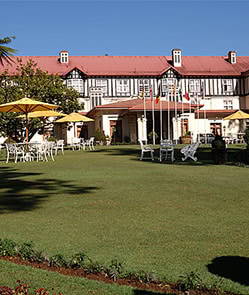 The hotel is known for providing five-star quality in an old-world beautiful setting. Get a good sleep ahead of tomorrow morning’s departure. Today take the expressway or the scenic route along the coastline back to Colombo for your flight onward. 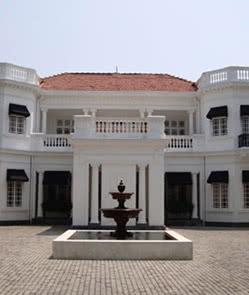 In prime position next to the lake and nearby Buddhist shrine, Uga Residence screams old-world elegance in modern Colombo. Nestled on a verdant avenue, this perfectly-appointed Victorian mansion offers an escape and some peace and quiet within the bustle of the city. Guests can relax in their luxurious suites, bedecked in rich materials and textures, or on their private terraces; alternatively, they may enjoy tranquil walks in the shady gardens. Relaxation and reinvigoration are close at hand with massages available on request and the hotel pool awaiting with cooling waters in a sunny courtyard. A la carte dining is a sumptuous affair at the poolside restaurant, where guests may begin with a cocktail from the adjacent bar and continue with wine from the cellar to accompany the gourmet delights on offer. 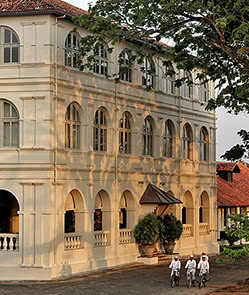 Situated on the manmade Willingdon Island, the Vivanta by Taj Malabar provides remarkable views of historic, picturesque Cochin harbor. Each room offers a LCD television, custom, stylish décor, surround-sound systems, massage showerheads, and work desks and chairs. Dining options include the Rice Boat, which specializes in fresh-caught seafood and is modeled after a traditional kettuvalam boat, complete with garden entrance in the form of a ship’s bow and an authentic cane roof; the Pepper, a twenty-four hour eatery featuring eastern and western cuisine in a bright, cheery space; the Thai Pavilion, reputedly the only restaurant of its kind in Kerala; and the Mattancherry Bar. In addition to wireless Internet in every room, there is a business center and the Jiva Spa, which features a full menu of rejuvenating, refreshing therapies. 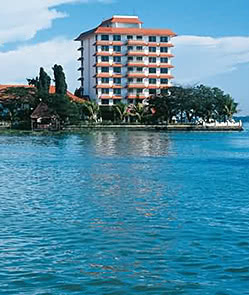 The Taj Malabar is approximately 60 minutes from Cochin airport (COK). 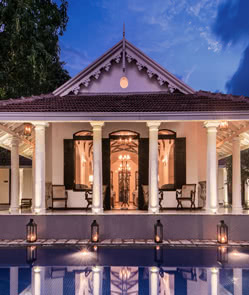 Located on the banks of Lake Vembanad, the luxury resort Kumarakom is a beautiful retreat on the backwaters of Kerala. 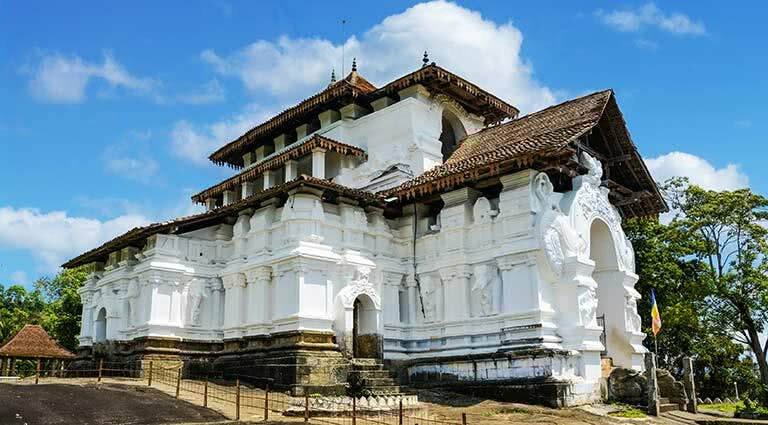 The building that houses Ettukettu, its principal restaurant, was commissioned by the King Marthanda Varma as a gift to his favorite martial arts teacher, and dismantled from its original location before being reassembled at Kumarakom. The 115-seat restaurant offers multiple cuisines, including Continental, Chinese, Mughlai, North Indian and traditional Kerala dishes. 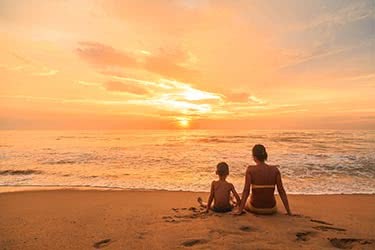 Ayurmana, Kumarakom’s Ayurveda spa, has an extensive menu of massages, therapeutic and beauty treatments and more, while the fitness has a wide array of exercise machines and free weights. Thattukada is a traditional Kerala teashop. In addition to the business center, wireless Internet is available across the resort’s public spaces and in villas and rooms. 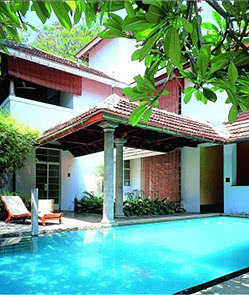 Kumarakom is approximately 1.5 hours from Cochin airport (COK). For over a century, the Taj Mahal Palace and Tower has been the haunt of India's elite, and has played host to princes, kings, maharajas, presidents, CEOs and countless celebrities. Built in 1903, it is an architectural marvel, bringing together Moorish, Oriental, and Florentine styles. Inside, the hotel showcases contemporary Indian art framed by vaulted alabaster ceilings, onyx columns, graceful archways, hand-woven silk carpets, crystal chandeliers, and an eclectic collection of furniture. There are 519 rooms and 46 opulent suites with panoramic views of the Arabian Sea and the Gateway of India. The Taj's excellent dining options include Golden Dragon - voted the best Chinese restaurant in Mumbai; Masala Kraft - Indian cuisine with a contemporary twist; Souk, which has stunning views of Mumbai from its rooftop location and serves Middle Eastern cuisine; The Zodiac Grill, where a special menu is offered for each month's star sign, and the stellar Wasabi By Morimoto - Mumbai's first contemporary Japanese restaurant, helmed by the Iron Chef himself. 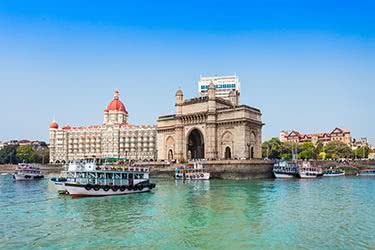 There is also the Harbour Bar, Mumbai's first drinking establishment, and the Insomnia nightclub, filled with "Bombabes" and their millionaire boyfriends. Guests can unwind at the luxurious spa, the fitness center, equipped with cardiovascular and weight training equipment, steam shower and sauna and swimming pool, or with a game of badminton, squash, tennis or billiards. The hotel also has a private yacht available for day trips on the Arabian Sea or to nearby Elephanta Island. There is a business center with wired and wireless Internet access, secretarial services and cell phones and laptops for hire. Wi-fi available throughout the hotel. 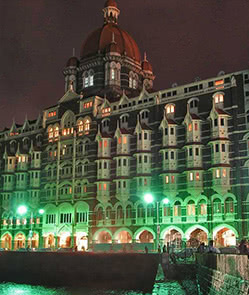 The Taj Mahal Palace is 45 minutes from Chhatrapati Shivaji International Airport (BOM).